We are a 24 hour, 7 day lockout service covering the Eastern Suburbs, including Maroubra and are always on standby to respond immediately when you call. One of our experienced locksmiths can be to your door within the hour. We provide all locksmiths services throughout Sydney. Fully equipped with mobile workshops we can access and secure your premises following your call out. If you have lost your keys – no worries, we will replace them on the spot. Our locksmith service includes residential houses and units, as well as commercial, retail and industrial locations for all types of locks. Standard locks should be opened within 5 minutes. Restricted type cylinders can take longer. Either way we will have you inside in no time. We are a team of qualified locksmiths who know what they are doing. All Fusion Locksmiths have been fully trained and hold the correct licenses and qualifications to conduct your security work. 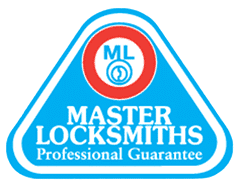 We also are members of the Master Locksmiths Association of Australasia to keep up to date with any developments in the industry. To protect our team and you, we also carry the correct insurances as well. We work closely with NSW police to prevent break-ins and robberies happening within Maroubra. There are lots of simple measures everyone can do around their home and we aim to spread the word. This is our local area too and we want everyone to enjoy living here feeling safe and sound. How Secure is Your New Home? For all new residents in Maroubra we want you to enjoy your new home. It’s a wonderful suburb to live in! But have you had a chance to check your locks and security around the home? Chances are a lot of people have a copy of your key to the front door or the locks could be years old and not working at their best. You need Fusion Locksmiths now. 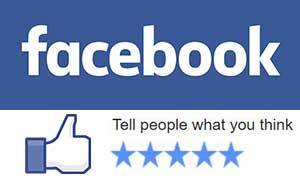 We utilise all major security brands to bring you the strongest and latest technology available. Let’s bring your family’s safety into the 21st century. So if you’re based in Maroubra, or elsewhere in Sydney’s Eastern Suburbs and you need a locksmith, give us a call.